In Pascal there is the Set object, that you set (n<256) bits and then can later check if bit n is set or not. Sort of like a bool array. as we know this data is a Set object, it would be nice if it was represented as such. Now we could Declare this a structure varaible (Alt-Q) by hand and then rename it. This works for a few small cases, but in the Gold Box games, Sets are used to manage lots of things so there are too many of them. 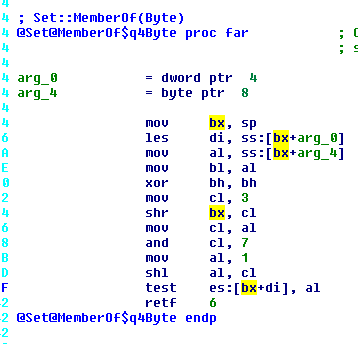 The best trick here is to get IDA-Pro to do the work for us. 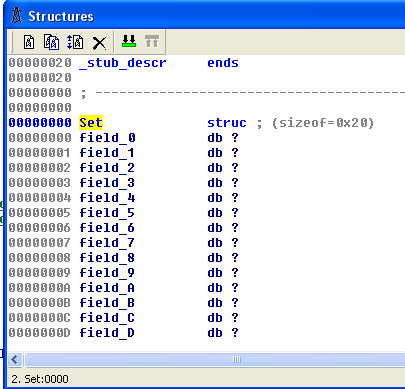 Firstly I assume you have creates a Set structure (needed for the above manual process) that is 0x20 bytes long. When working in IDA to reverse games, you can end up with lots of dummy/empty labels, that are auto generated when doing offset work. Here’s my script to remove them. And then you right click and go down the offset menu, and review the choices. This just created a dummy label on every segment at offset 32h so it could display it to you. 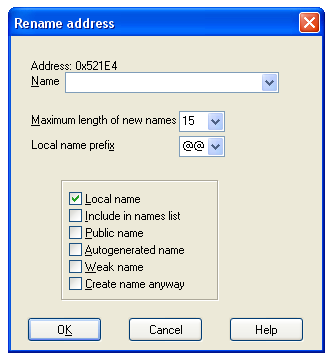 Now you can remove these manually by selecting the line and pressing n then empting the name, and pressing ok. But that’s painful if you have hundreds of dummy labels. Roll on the power of IDC files, and lets get rid of those.